A fun, inspiring way for children to learn yoga postures, techniques and mindfulness through games, activities and more! 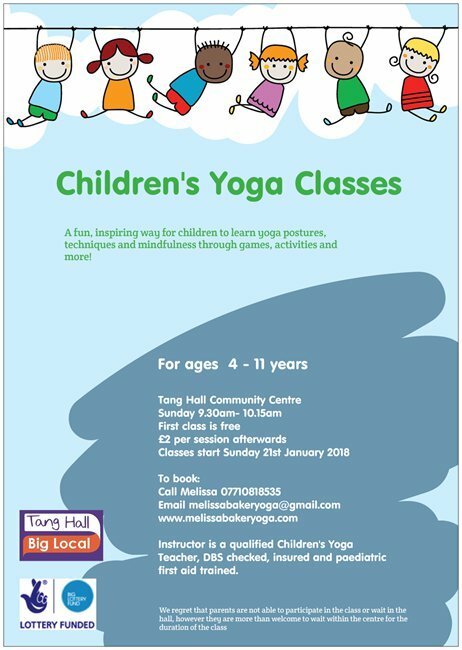 Join Melissa from 9:30am – 10:15am on Sundays at Tang Hall Community Centre. Classes are for children ages 4 – 11 years. The first class is free, and then £2 per session afterwards. The instructor is a qualified Children’s Yoga Teacher, DBS checked, insured and paediatric first aid trained.